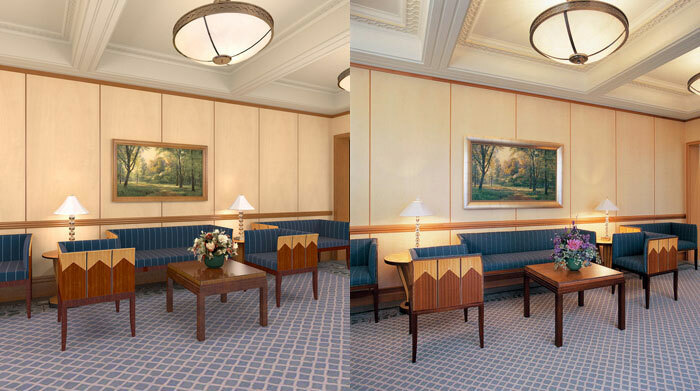 Have you ever wondered what goes into the design of new temples? How much is planned ahead of time? To what extent do they know what the temple will look like when it is finished? What level of detail is thought about even before construction begins? I have thought those things many times before, and I believe they have now been answered in large measure by something fascinating that Elder Bednar shared in his CES fireside address just a couple weeks ago on May 3, 2009. His talk was entitled, “Things as They Really Are,” and he spoke about how the virtualization of reality through modern technology can take particularly pernicious forms that can have damaging eternal spiritual effects. It is an excellent talk, and one that every member of the Church should read and study carefully. Again, the attention to detail is astounding in the lobby rendering of the Copenhagen Denmark Temple before it was constructed. 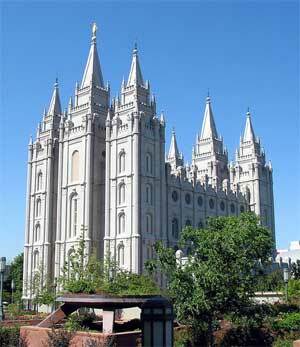 Needless to say, the Church knows a great deal about what a temple will look like before the dirt is stirred. Coming from a computer graphics background, I am greatly impressed. The Church spares no expense in doing things right, particularly where the Lord’s temples are concerned. As in ancient times, the House of the Lord is only built with the finest of materials, craft, and skill available, and the most painstaking efforts are made beforehand to ensure that the Lord’s most holy house ends up being what it should be—the most sacred place on earth. The council room of the Twelve Apostles. The council room of the Presidency of the Seventy.